“Julie Gough‘s artwork has always been the product of investigation and reporting, a kind of forensic quality pervades it. Quite naturally much of this investigation has concerned issues of identity, and inevitably of race and heritage. Julie is the first Tasmanian artists who is Aboriginal to have come to my attention as working in a highly deconstructive mode which at once seeks to locate her heritage beyond how it rests deeply within her while exploring the history of the interpretation and stereotyping of Aboriginal people. Her art has opened up dark spaces in the history of this place and has shone a light on the hard and horrific scenes arising out of that with a spare and fresh and elegantly distilled methodology and means. There is nothing didactic in the way Julie presents the fruits of her digging, it comes alive in strongly realised and sensitive installations which distil the essence of the issues and stories down to a rich physicality, and does so without removing the mystery or attempting to resolve issues in some definitive way. 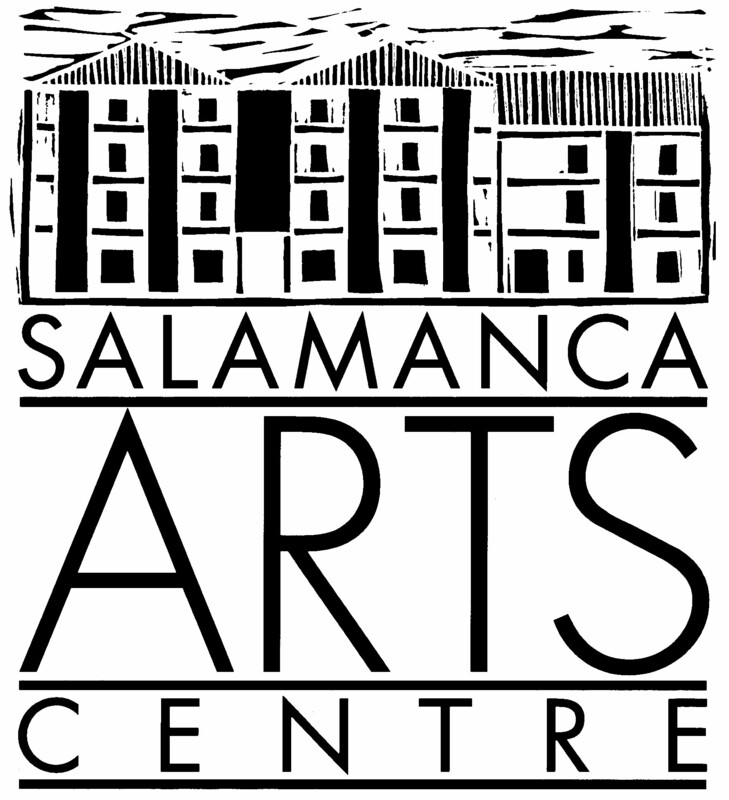 I was fortunate to be able to include Julie in an exhibition, (An Other Place), which I curated for the Salamanca Arts Centre in 2008, and this exhibition was part of the Ten Days on the Island Festival program, as is The Crossing. An Other Place brought three Australian artists and three Irish artists together to explore concepts relating to place addressing the familiar with the unfamiliar and its obverse. Issues of identity and of identification came into play strongly for Julie in this exhibition. Interestingly I had already been aware of a Scottish component in Julie’s lineage but it was only at this time that Julie discovered that her ‘Scottish’ family actually emigrated from Ireland where their name had been spelled McGeough, their time in Scotland having been comparatively short. This news aroused in Julie a strong desire to visit Ireland and undertake research and see what connections with Ireland might arise. This ‘Deconstructive’ artists has always been ‘reconstructing’ lives and stories back into art, but in this case the reconstruction is giving rise to new knowledge, pieces which might fit together to patch somewhat the tattered and broken fabric which is the stuff of our making. In making such a journey myself I can share with Julie the almost visceral sense of contact with the people who have gone before when we can stand in the places they stood and see the images they saw and uncover shreds of their stories. It is a bringing back into now, into consciousness, of these people who made us. No single incident brings us about, it is a series, an interminable schema of accidents, moments, crimes, kindness done and cruelties endured, of cultural and radical collisions, of empires and hearths. We stumble and sift, track and select and gradually parts fit, partial connections are made and hopefully something real and personal emerges. People flash briefly into existence then fade again but that is something to hold on to, to take in and fill some small parts of us. Indentification becomes identity. The lives that made us are alive within us. Third rendition edited by Nick Smithies. Second rendition edited by Eros Abrilon. First rendition edited by Duncan O’Cleirigh. Julie Gough was born in St Kilda, Victoris and lives in Hobart. A visual artist, curator and writer Gough’s research and art practice involves uncovering and re-presenting often conflicting and subsumed histories, many referring to her own and her family’s experiences as Tasmanian Aboriginal people. Current work in installation, sound and video provides the means to explore ephemerality and absense. She has completed a PhD and BA Hons in Visual Arts at the University of Tasmania, a Masters degrees at the Goldsmiths College University of London, BA (Visual Arts) Curtin Unviversity and BA (Prehistory / English Literature) from the University of Western Australia. The artist would like to acknowledge the generous support of David Dobz O’Brien, the National Sculpture Factory, Cork, the speakers, Deidre Murphy, Seán Kelly, Eros Arbilon, Duncan O’Cleirigh, Blackwater Studios Fermoy, Norbet Roldan, Green Papaya Art Projects Quezon CIty, Steve Eland, 24 Hr Art Darwin, Arts Tasmania, University of Tasmania and Salamanca Arts Centre.